Guests can relax in the large, welcoming lounge area with its romantic fireplace. Or, laze on the sunbeds on the roof-top garden, where they can glimpse the fascinating medina and spectacular Atlas mountains. Riad Romance offers three deluxe rooms and one en-suite ; all rooms are decorated in traditional Moroccan style but with a modern touch. The walls are covered in lime-based ‘tadelakt’ plaster. The floors are decorated with Bejmate Moroccan tiles. Each room has wi-fi and air conditioning. Subtle lighting and luxurious bed linen are to ensure guests get a good night’s sleep. A 24/24 hours front desk service is provided. Daily housekeeping is also included in the room rate. 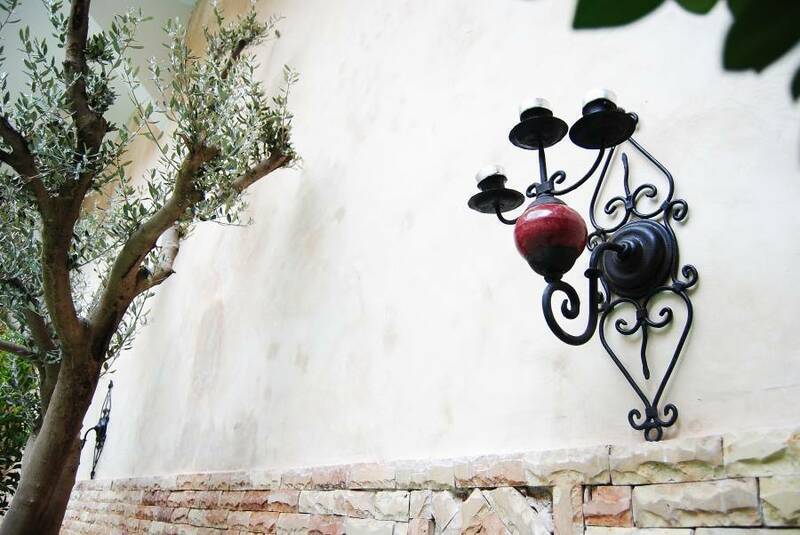 Our guests could stay one night or more depends on their choice. 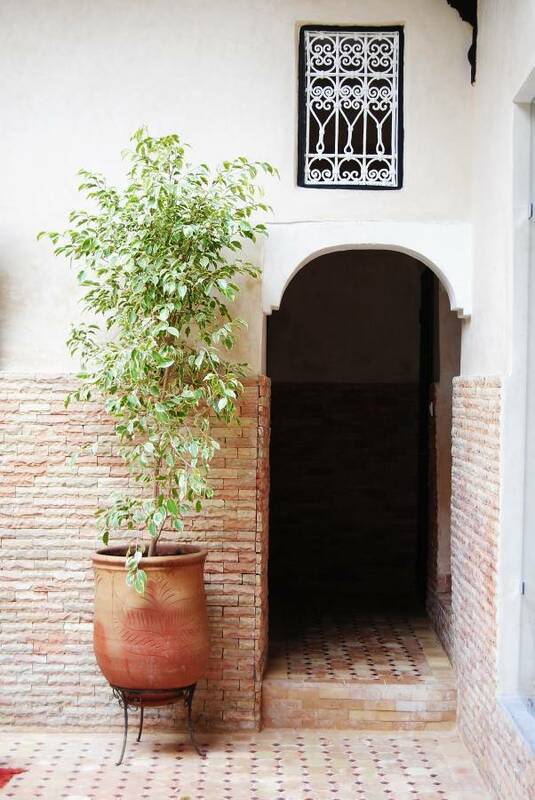 Riad Romance is conveniently located in the heart of the Ancient Medina (walled old town) of Marrakech, less than one minute walk from the souks, spice Market and two of the main historical sights of the city: the Old Coranique school Medersa Ben youssef, Museum of Marrakech . the Museum of Photography which is one of the highlights of the city is located less than 1min walk from Ours and the Unesco world heritage and famous square Jamaa Lfna is located less than 10mins walk. 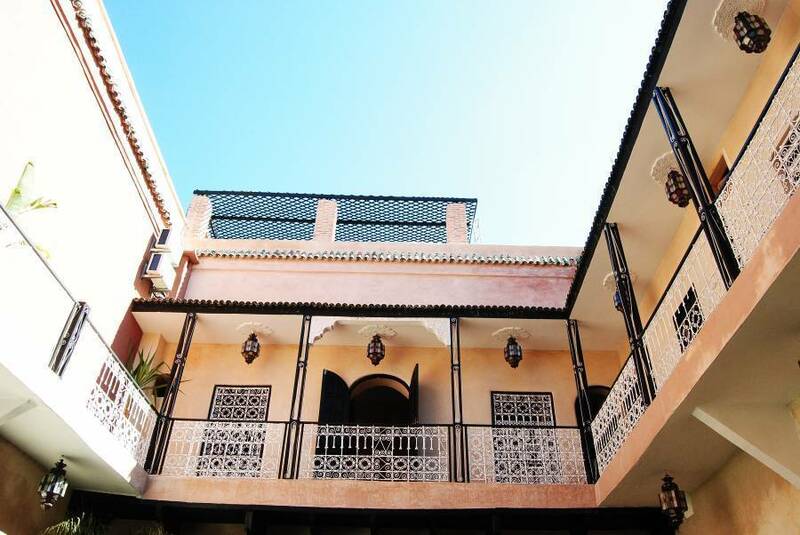 Riad Romance is the perfect place for your stay, as it will allow you to taste the real authentic experience while offering the most comfortbale stay by providing you with a 24/24Hours service, starting from ick up at airport, then checkin with a welcome mint tea and moroccoan home made passtry, then providing you with city maps and explaining and reccomending the highlights of Martrakech. 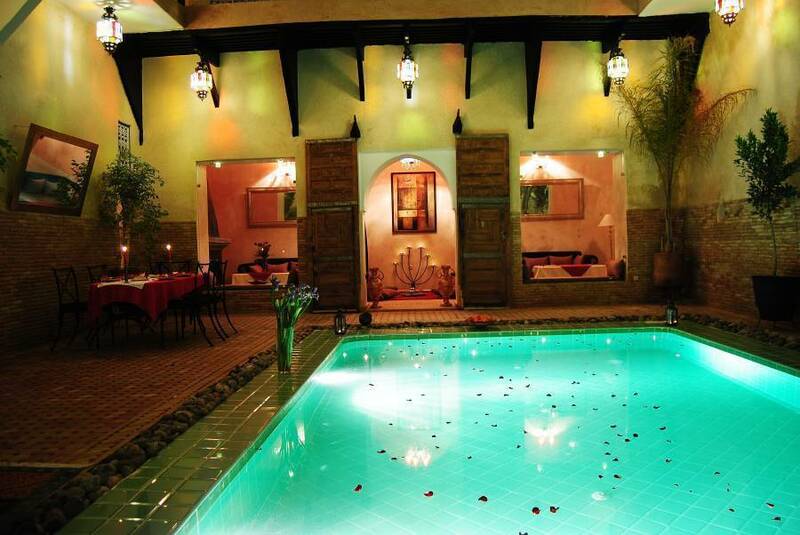 Riad Romance offers three deluxe rooms and one en-suite ; all rooms are decorated in traditional Moroccan style but with a modern touch. A 24/24 hours front desk service is provided. Daily housekeeping is also included in the room rate. Our guests could stay one night or more depends on their choice. The walls are covered in lime-based ‘tadelakt’ plaster. The floors are decorated with Bejmate Moroccan tiles. Each room has wi-fi and air conditioning. Subtle lighting and luxurious bed linen are to ensure guests get a good night’s sleep. 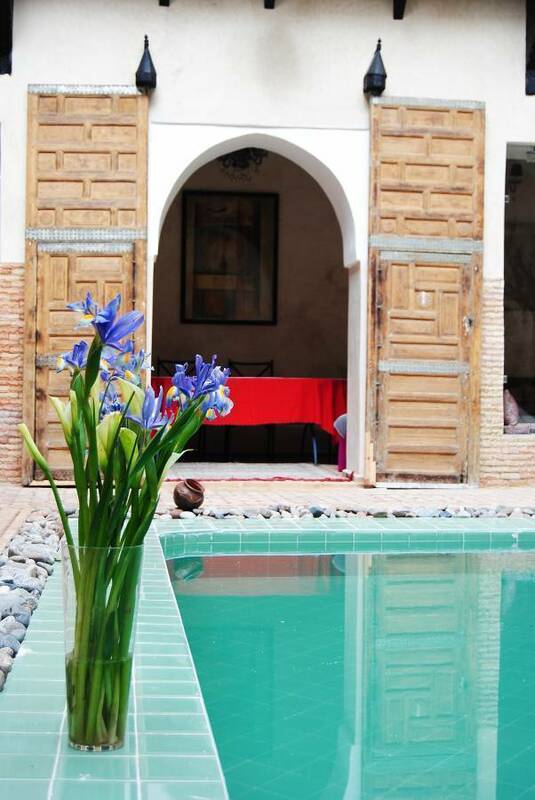 Riad Romance is conveniently located in the heart of the Ancient Medina (walled old town) of Marrakech, less than one minute walk from the souks, spice Market and two of the main historical sights of the city: the Old Coranique school Medersa Ben youssef, Museum of Marrakech. less than 10mins drive to the new city. One of the best Moroccan cuisine that has lovely view and less than 1min walk from Riad Romance.